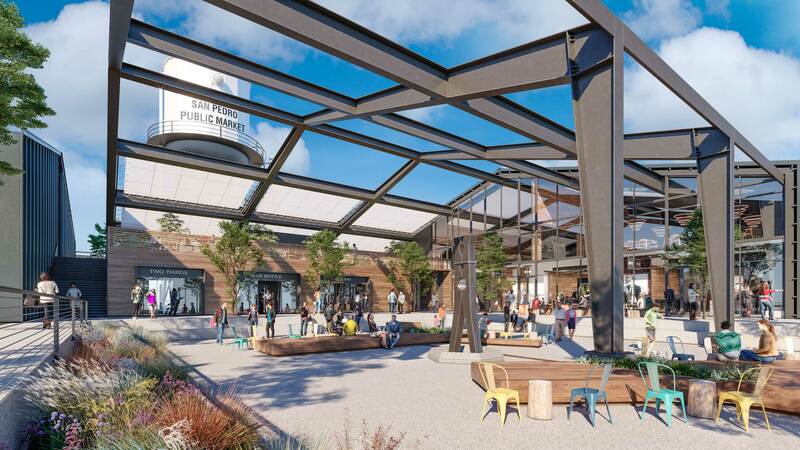 Los Angeles-based developer The Ratkovich Company (TRC) and San Pedro-based Jerico Development, Inc. (Jerico) have unveiled new renderings, timeline, and updates for the San Pedro Public Market (SPPM) on the LA Waterfront. The plans showcase a world-class, urban waterfront destination for locals and tourists that re-energizes and connects downtown San Pedro and the surrounding local community to its waterfront. The updates were revealed to the public at a Town Hall meeting hosted by the Port of Los Angeles on March 20 at the Warner Grand Theatre in San Pedro. 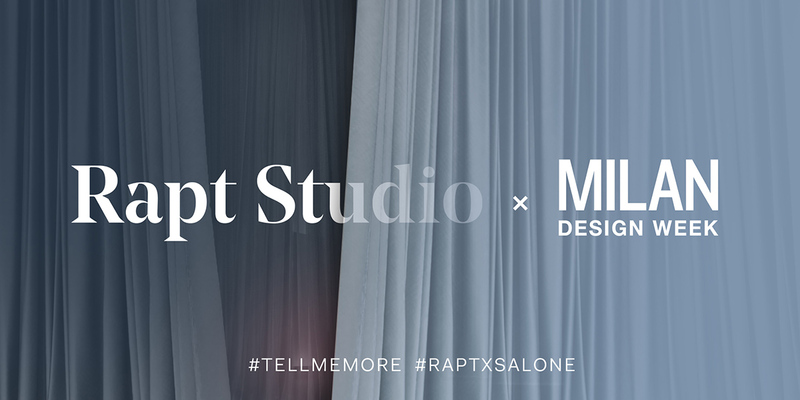 The design team is led by Rapt Studio and includes internationally recognized firm James Corner Field Operations (“Field Operations”) and Adamson Associates as Executive Architect. Field Operations led the design and construction of the High Line, the twenty-three city-block long elevated railway reclaimed as an extraordinary public space in the heart of Manhattan’s West Side. 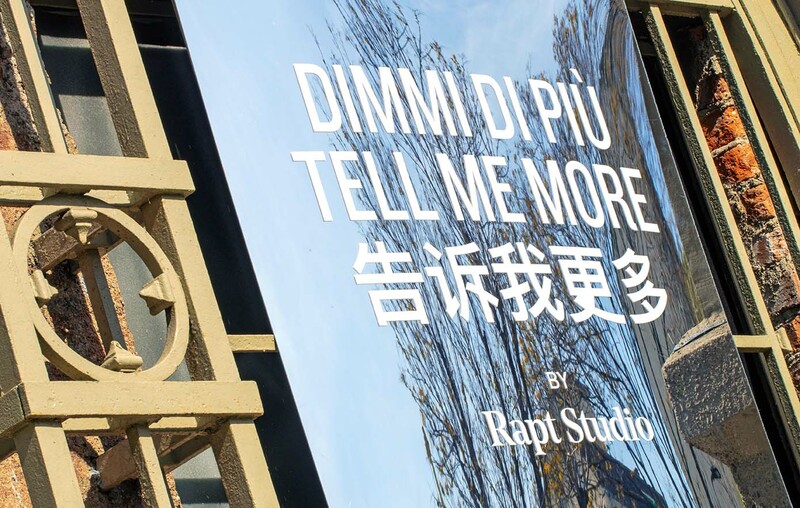 Rapt Studio, architecture & design, is renowned for devising compelling spaces for clients such as Dropbox, HBO, LinkedIn, The Honest Company, Adobe Systems, and The North Face. 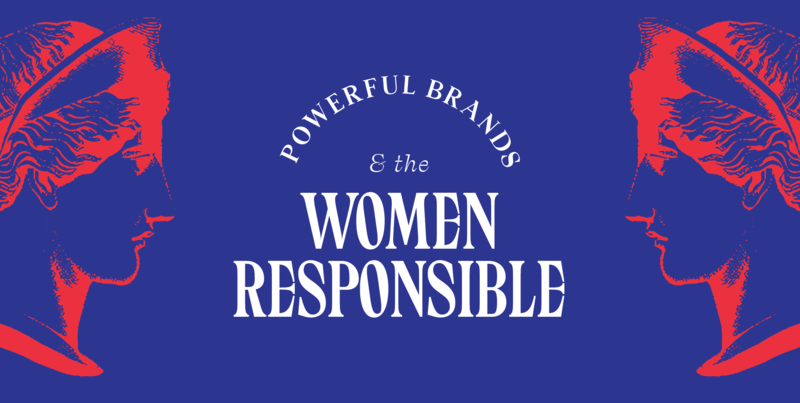 The development team is a joint venture collaboration between The Ratkovich Company and Jerico Development, Inc. In 2016 the Board of Harbor Commissioners’ awarded a 50-year master ground lease to the San Pedro Public Market LLC (“SPPM”) for the Ports O’ Call site. The SPPM development includes the site’s park space, parking improvements and buildings, and will sublease portions of the site to individual retail, dining and entertainment tenants. The Port of Los Angeles and the local San Pedro Community conducted a decade’s long process of engagement and dialog, reimagining the commercial and visitor serving Port properties adjacent to the community of San Pedro. The master plan developed through this collaborative effort was memorialized in the 2009 San Pedro Waterfront Environmental Impact Statement (EIR). 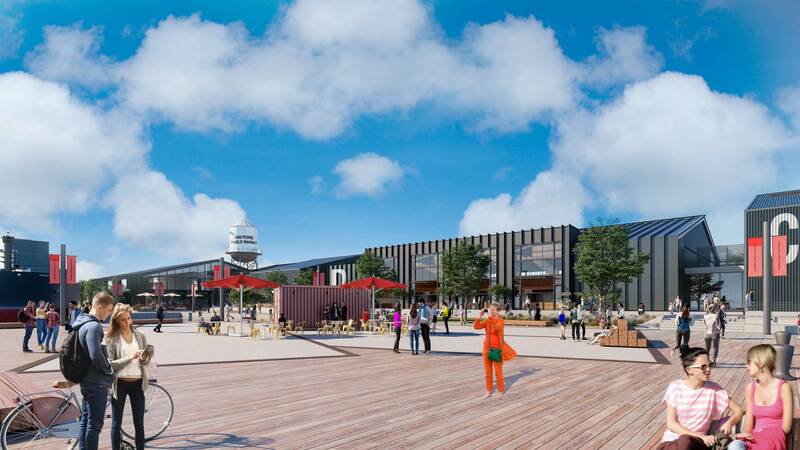 The EIR and master ground lease calls for the Port to construct a 30’ wide continuous waterfront Promenade on the site, necessitating the Port’s demolition of all existing waterfront buildings as well as allowing it to conduct other clean up and site improvements necessary to make the site ready for commercial redevelopment. In addition to the Promenade, the Port will also construct significant additional infrastructure improvements including the Harbor Blvd. realignment and traffic improvements; the Town Square plaza at the foot of 6th Street connecting the redeveloped waterfront to the historic Downtown San Pedro; structural waterside improvements including constructing a large visitor boat dock and providing upgraded electrical service to the site. The work will be done in phases, with SPPM’s development being closely coordinated with the Port’s work. 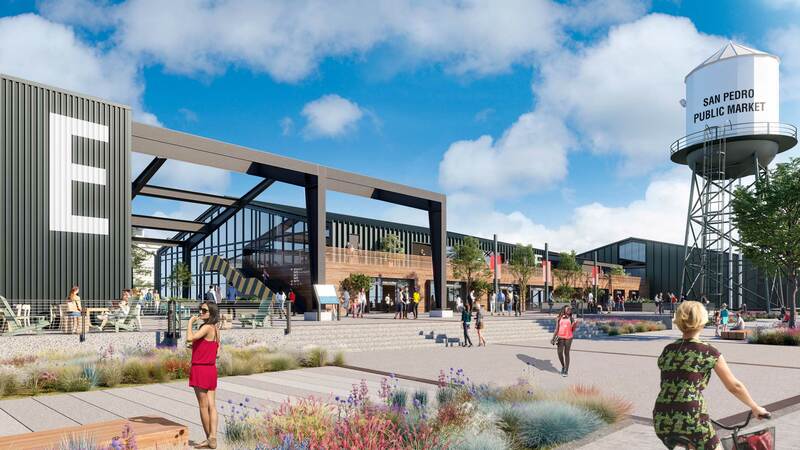 This phased approach will allow the San Pedro Fish Market, Café International, Crusty Crab, Spirit Cruises, and Harbor Breeze Cruises to remain in operation during construction. 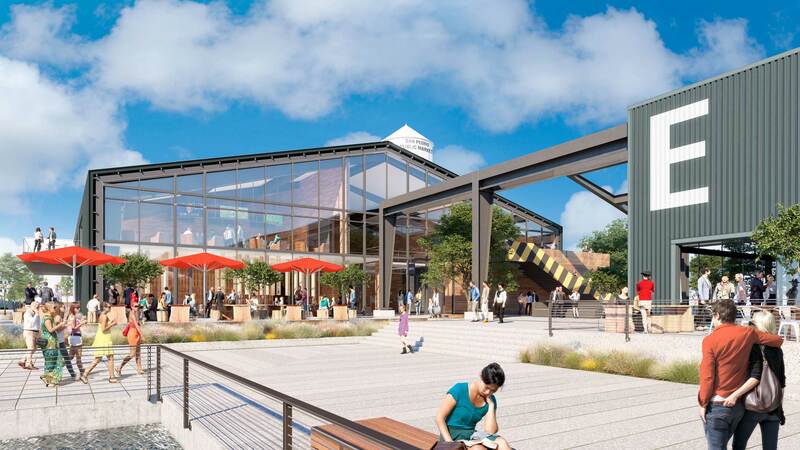 San Pedro Public Market is scheduled to open late 2020 or beginning of 2021.